All contacts for this award must be on, or after, 1st January 1986. The W.A.B. definition of an Island is on the Definitions page. 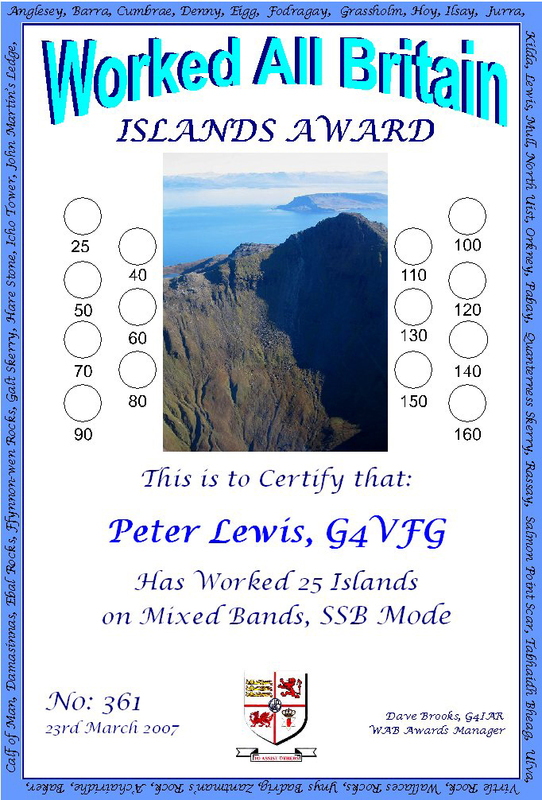 For the Islands Award, a certificate is awarded for 25 islands on HF/Mixed Band claims, and 10 islands on claims for VHF/UHF/Data Modes. 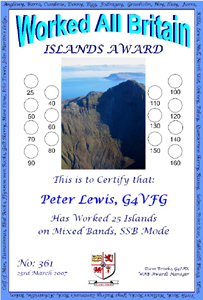 Endorsement stickers are then available for 40 islands on HF/Mixed Bands and 25 islands on VHF/UHF/Data Modes. The next level is 50 on HF/Mixed Bands and 40 on VHF/UHF/Data Modes and thereafter in increments of 10 for all claims. New Certificates are then awarded for 150, 300 etc. For this award, activating an Island can count towards a Worked Islands Award.